Many people in Benalla have trouble buying healthy affordable food. Why is this so? Expensive food: See how much does it cost for healthy food? 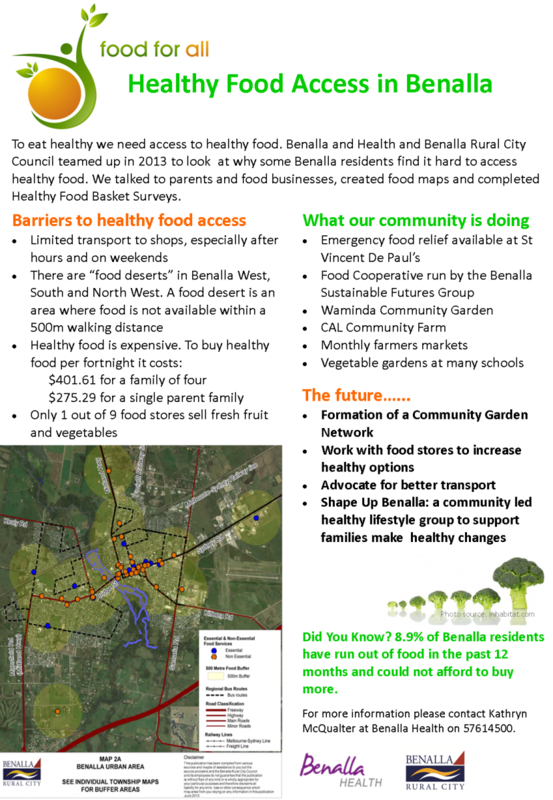 Benalla Health and Benalla Rural City Council are working together change our local food system.